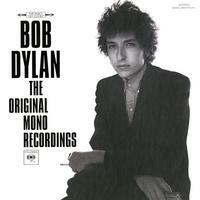 The Original Mono Recordings is comprised of Bob Dylan's first eight long-playing albums, painstakingly reproduced from the first-generation monaural mixes as the artist intended them to be heard. One channel of powerful sound, both direct and immediate. While stereo recordings had been available as early as the mid-1950s, mono was still the predominant - and often preferred - mode of recording and mixing by the top artists of the 1960s. As a result, artists like The Beatles, The Rolling Stones and Bob Dylan devoted their attention to the mono mixes, leaving the stereo mixing process to studio engineers. The Original Mono Recordings are accompanied by a deluxe booklet, featuring vintage photographs of Dylan and an expansive essay from renowned author and critic - and longtime Dylan aficionado - Greil Marcus. Each disc in the set comes in its own individual jacket which faithfully replicates the original album artwork, complete with labels and stickers that were found on the original 1960s releases. These eight albums - spanning the artist's self-titled debut in March 1962, through John Wesley Harding released on December 27, 1967 - are universally regarded as some of the most important works in the history of recorded music. Together with The Witmark Demos, they provide the public with a wide-ranging view of Dylan's work during the 1960s, and chronicle his amazing evolution from fledgling songwriter to one of the world's most inventive and singular recording artists.